Authors note: This is most definitely not a sponsered post. I received no consideration for this post! For the last three weeks I have made the family compound of Dewa Nyoman Jati my home. 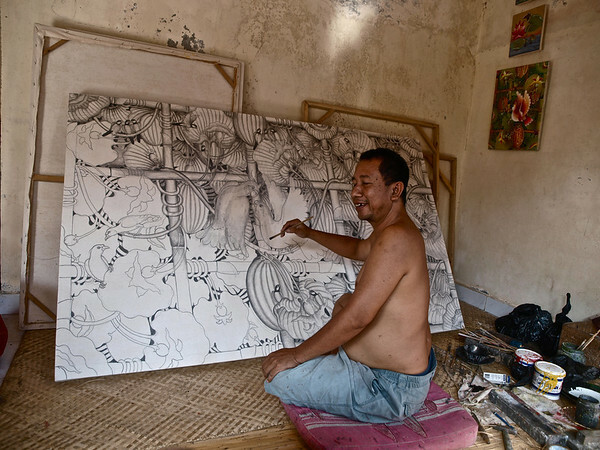 Jati is a highly regarded painter and has work displayed in the permanent collection of the world renown Neka Art Museum. Several of his family members paint as well. The following painting hangs in the Neka. 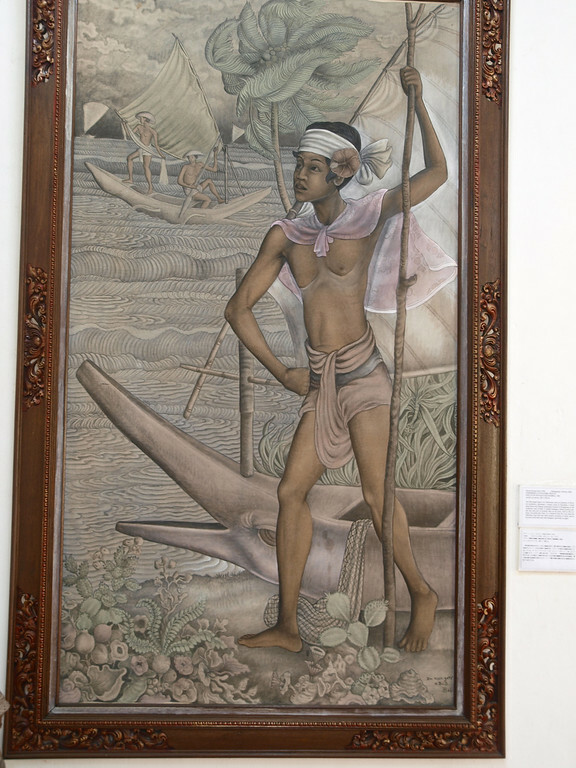 “Fisherman at Kusamba Beach,” was painted by Jati in 1985. The full-length figure of a fisherman, done in imitation of Western aesthetic, dominates a stormy scene at Kusamba, a black sand beach and fishing community on the southeast coast of Bali. His son, also Dewa, manages a homestay which consists of 10 large rooms with private bath and balcony overlooking a beautiful rice paddy. The grounds are spacious, immaculate and lovingly maintained. This is not the Four Seasons and you will not get air conditioning here (I would not want it anyway). What you will get is a great traditional Balinese experience accompanied with terrific service and kindness. The homestay is conveniently located in town. You enter through busy Hanomen Street with its shops and cafes. But as soon as you walk back through the grounds you are in another world. Completely gone is all traffic noise. 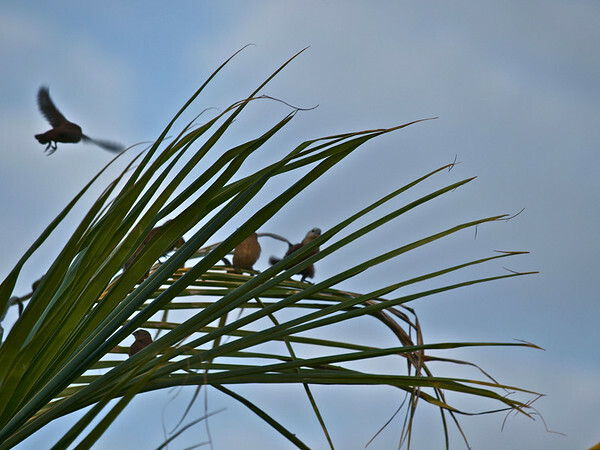 The only sounds one hears are morning songbirds, crickets, flowing water and the occasional rooster crow. 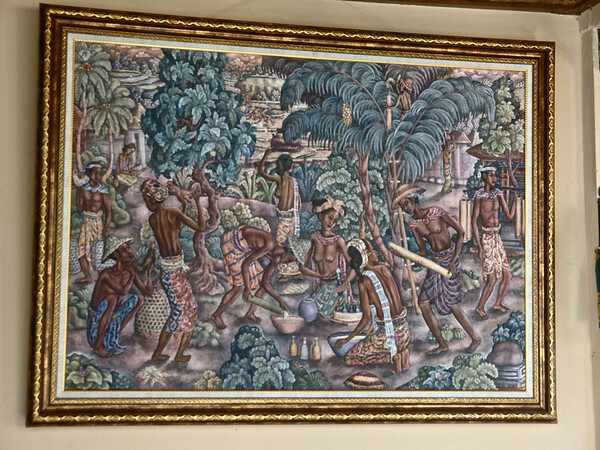 Many of Bapak (‘father’) Jati’s paintings hang in the rooms, dining area and around the grounds. He paints every day, mostly in the early morning and late evening when it is cooler, sitting on the floor of his studio. Coming home in the evening, often around 9:00 or 10:00, I like to pause outside his studio and watch him work. Occasionally I will sit inside and talk with him for a few minutes before moving on to my room. He is prolific and often works on several paintings at once. 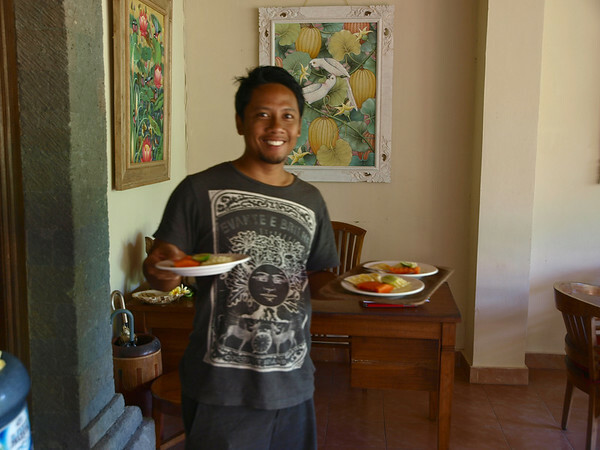 Dewa, the son and his employee Putu are extremely helpful in organizing tours, procuring drivers and making fun and informative suggestions regarding the myriad of activities in the greater Ubud area. Their arranged tours (which you can customize) are always less than those quoted on the streets and a driver will pick you up and drop you off at the door…very convenient. I will cover some of these activities in future blog posts. 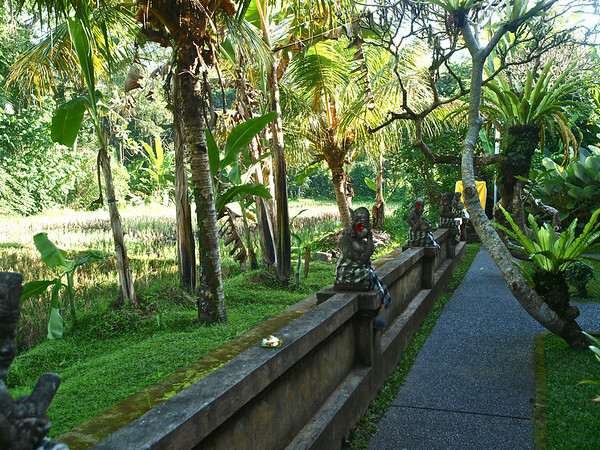 During my stay, Dewa and Putu have organized two full day tours to holy sites, markets and places of outstanding beauty. On one of these tours Dewa himself was the driver. Putu also made all the arrangements for my sunrise summit trek on Mt. Batur a couple of days ago. When I came downstairs at 2:45 a.m., not only was the driver waiting, but Putu was up and handed me a bag with some warm breakfast to go. Yes, this family goes out of their way to warmly welcome you. The compound is a large walled area with several residences (and two new ones under construction). It is traditional in all respects. There is a family temple. Male children, when they marry, live with their families at the father’s property and build a new home there. The prices are very reasonable, roughly US$24/night. On a weekly rate that drops to about US$18. This includes breakfast each morning. Exact current prices in rupiah and other information can be found on Dewa’s website. It is with a touch of regret that I must leave tomorrow. 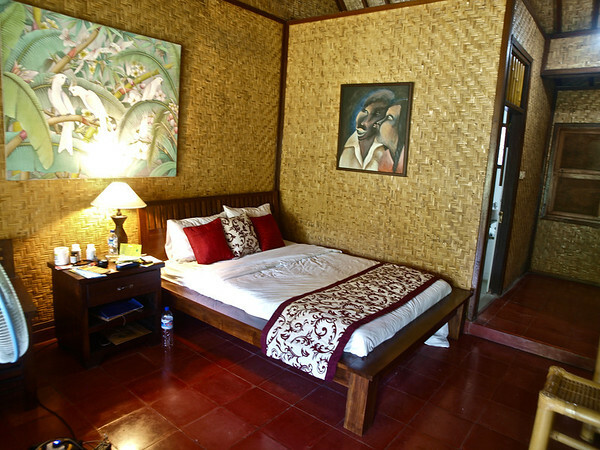 I highly recommend Jati Homestay and will no doubt stay again when I return to Ubud. It is/was. Can’t wait to return. Philip, as usual you have done a fabulous job of conveying the essence and beauty of your adventure. What is astounding is that the daily rate of $18 is less than $6,600 annually, I know where I am going if I ever drop out of society. Wow! What a great find and lovely place. Enjoyed your photos and descriptions of both the homestay and the family who owns it. It seems another heart connection for you! Thanks Judie. Huge hearts here. Bali looks like paradise! I think I might need to visit someday…. Thanks for sharing! I feel you would love it here, Karen, especially Ubud. I would suggest starting your stay there. You will probably want to spend more time than you think in Ubud. I would take that over a hostel any day! Thanks Jenny. Many happy and safe journeys for you. Thanks for your comments Jo. Reminds me I have to write up some more of these stories from NZ and Bali as well. Can’t wait to return. 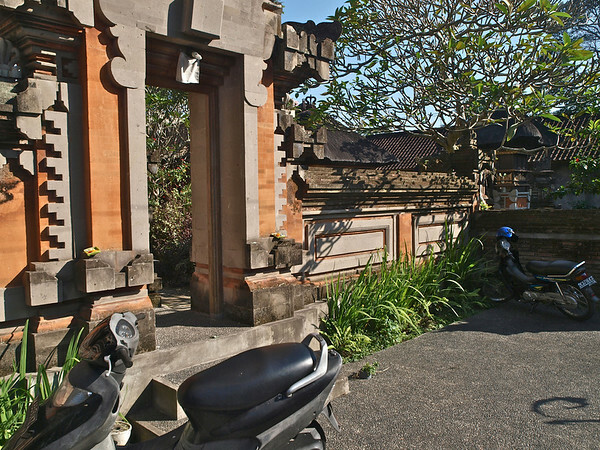 This looks like an awesome place to stay – will have to check it out when I get to Bali! It’s a great place to call home base for awhile Callie, and a great helpful family. Enjoy your adventure!! Hey Frank–glad I ran into you as well. I had no idea you were such a world traveler! I plan to return to Indonesia later this year. See you soon.